Corporate social responsibility (CSR) concept has a long and varied history. In the West, there has been extensive literature highlighting CSR that concentrates on natural environmental management and social and cultural differences. However, such research is lacking in the Malaysian context. 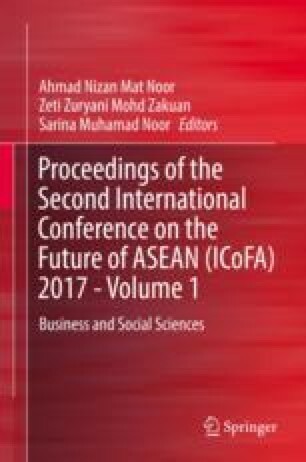 This study tries to investigate environmental management in Malaysia’s banking sector and how bank managers perceive environmental risk in their credit financing assessment process. Malaysia was chosen for this study as it has dual banking systems (conventional and Islamic banking), which allows to investigate the performance of environmental management of both types of banks. For these purposes, the questionnaire survey was conducted to the managers and executives in the corporate banking department where their main task is to evaluate and recommend credit financing approval. The findings via questionnaire survey suggest that, generally, Malaysian banking viewed natural environmental issues as a secondary factor in credit evaluation. Their view towards natural environmental risk is also significantly influenced by racial groups and religious affiliations. In conclusion, the study showed that social and cultural differences may influence the perception of environmental management. Equator Principles. (2012). Members and reporting [Internet]. Available from: http://equator-principles.com. Accessed on 01 Feb 2013.